LARGE 4 bedroom 2 1/2 bath bungalow. Walking distance to schools, RTA, short distance to I-480, Metro Parks and shopping. 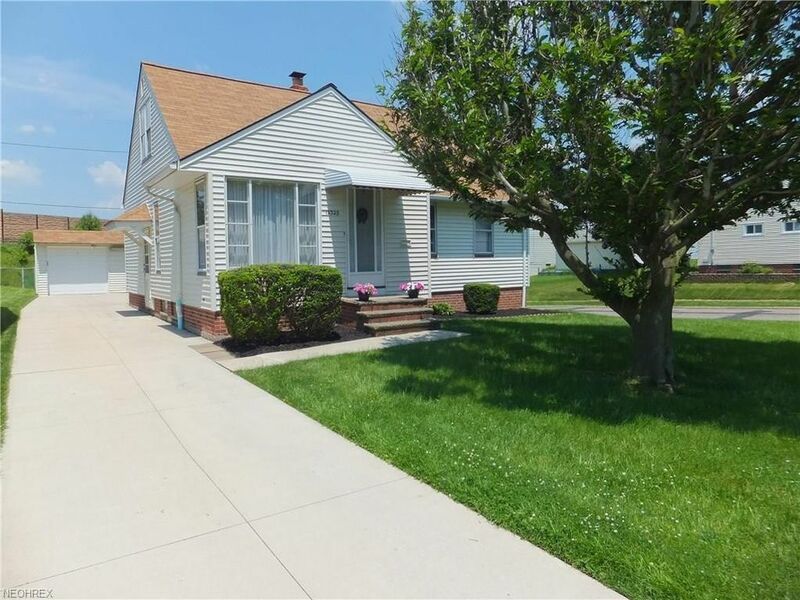 This well maintained, sparkly clean home features 3 first floor bedrooms with a spacious living room, a full sized bathroom, and a kitchen with a generous eat-in area. The finished second floor features a large master bedroom with walk-in closet, regular closet, 16 built-in drawers, 2 built in book shelves and a 1/2 bath. The 1 1/2 car garage comes with a work bench. Newer Roof, Concrete Drive, and Hot Water Tank. Original hardwood floors under the carpeting on 1st floor. Updated Electric Box 6-1-18.